Just a quick sharing on this space of mine, regarding the upcoming Putrajaya International Hot Air Balloon Fiesta 2016. I've missed the past years' instalments, hence this time around I will make it a point to attend and see what the fuss is about. 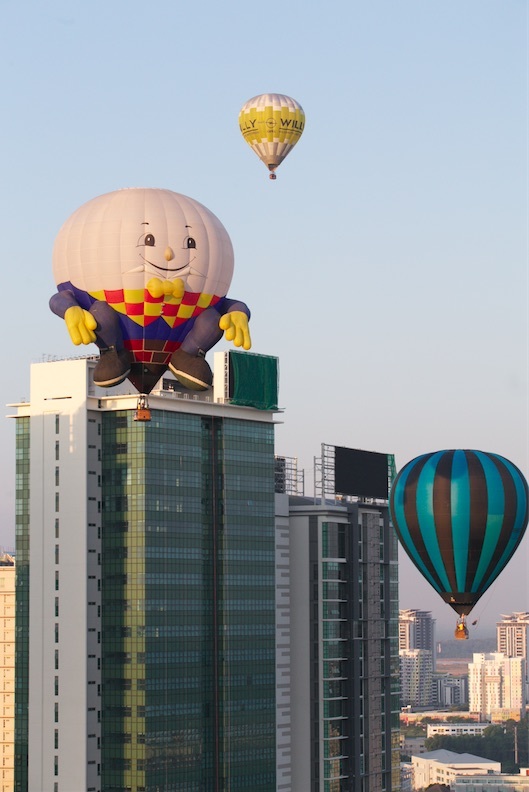 Charming the nation for the 8th consecutive year, the Putrajaya International Hot Air Balloon Fiesta is elevating to greater heights from March 11th to 13th, 2016. Over 20 pilots from more than 10 countries are registered to participate in this year’s Balloon Fiesta; including United Kingdom, Thailand, Spain, France, Netherlands, Belgium, USA, South Korea and of course, Malaysia. Fiesta organisers will keep visitors entertained with plenty for all to see and do. Serving a melting pot of activities for adrenaline seekers, creatures of comforts, the young-at-heart as well as those who seek epicurean delights, the Fiesta is all about bringing togetherness and excitement for this school holidays. 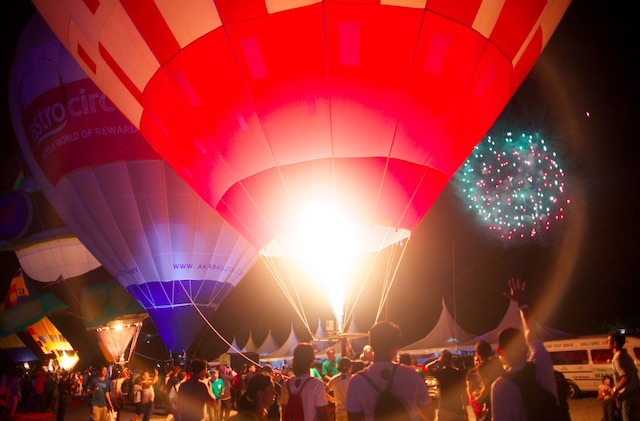 Tickets for this year’s Night Glow event, the highlight of the fiesta have been doubled this year giving members of the public more opportunity to catch the glowing balloons up close with the beat of the music as they enjoy the fireworks display. Other activities include Interactive workshops, coloring contests and paper airplane competition for the young ones; helicopter rides; Yoga and Zumba sessions; Extreme Zone sporting activities and many more. This year, MyBalloonClub members are offered the best seats in the house as the location is moved to the Blue Zone (Launching Field). Members will be given the privilege to enjoy gourmet buffet just meters away from the mass assension serenaded by live jazz performance and access to premium tethered rides. 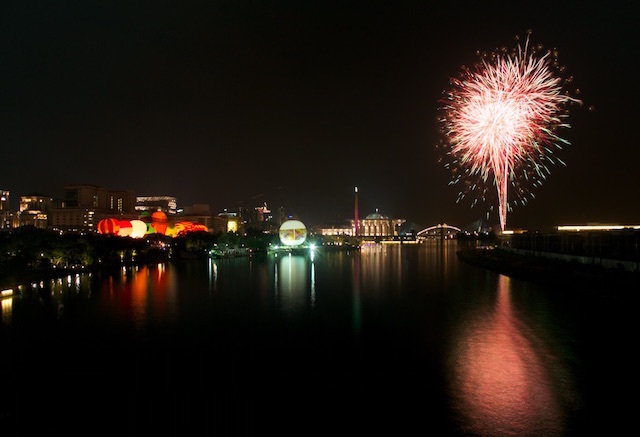 The Fiesta is a free event open to all age groups for locals and visitors to the city. To find out more information on the event, call 03 – 9044 0002 or check out fiesta’s website www.myballoonfiesta.comand follow their Facebook page www.facebook.com/myballoonfiesta. 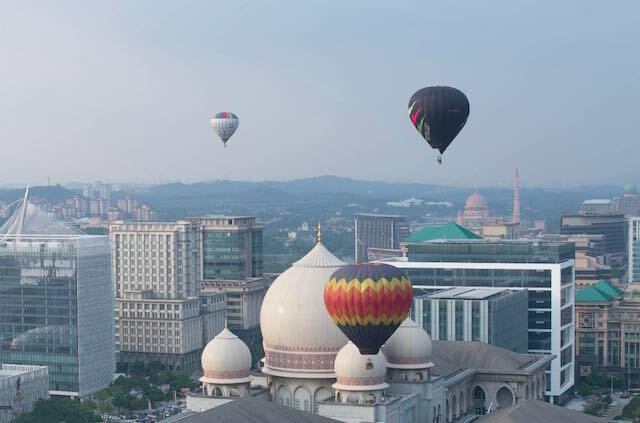 The 8th Putrajaya International Hot Air Balloon Fiesta is organised by AKA Balloon Sdn Bhd and Perbadanan Putrajaya (PPj).